The food has been bought. The guests have been invited. The television is ready for NFL football. Preparations are being made for the Black Friday sales. However, something is missing in our Thanksgiving preparations. Have we prepared our hearts to give thanks unto our Lord God? One person has defined gratefulness as: “Making known to God and others in what ways they have benefited my life.” We prepare our hearts for Thanksgiving by taking the time to reflect upon God’s blessings and then give thanks unto Him for those blessings. It is also an opportunity to thank others for the ways they have benefited our lives. Psalm 95 helps us to prepare our hearts for Thanksgiving. The focus of this Psalm is upon giving thanks to God. 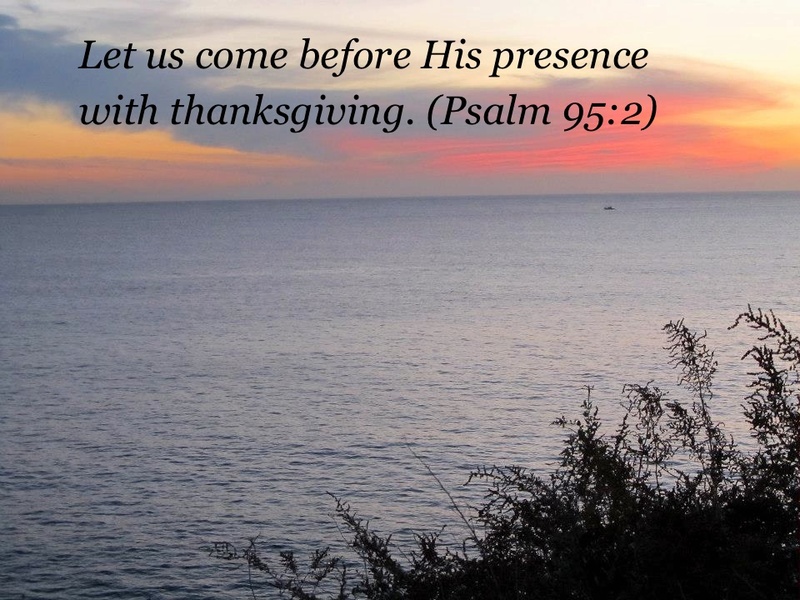 “Let us come before His presence with Thanksgiving.” (Psalm 95:2) God desires thankfulness in His people. Thanksgiving is not a once year reflection upon God’s blessings, but it is a daily giving of thanks to God for his blessings and provision. We prepare our hearts for Thanksgiving as we reflect upon the reasons we can give thanks to God. Take a few moments to meditate upon the following verses in Psalm 95. These verses will encourage us to give thanks to God for all that He is and all that He has done. 1. We give thanks to God for His Greatness. 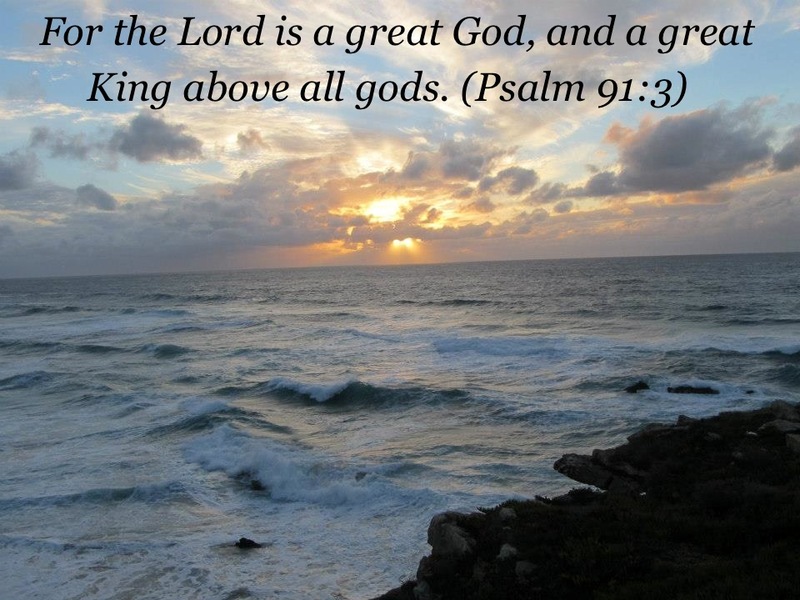 “For the Lord is a great God.” (Psalm 95:3a) God demonstrates His Greatness in all that He is and all that He does. We find it easy to lose the wonder of God as we grow older. Our faith becomes routine and ritualistic. It is time that we meditate upon God’s greatness again, and thank Him for His attributes and all that He has done. 2. We give thanks God for His Sovereignty. “A great King above all gods.” (Psalm 95:3b) God is in control. Yes, he sometimes refines us as by fire, but we can thank Him that nothing passes into our lives apart from His loving will and plan. When we understand that He is in control: then we can commit the trial unto Him and see Him work. We can thank Him not only for the good times, but also for the difficult times because He is working in our lives. 4. We give thanks to God because He is Personal. “For He is our God.” (Psalm 95:7a) God desires to have a personal relationship with us. He wants to walk with us, talk with us and listen to us. He loves His children with an everlasting love. He will never forsake us, in spite of the situation. We can give thanks that we have a vital relationship with our Living God. 5. We give thanks to God because He is our Provider. “We are the people of his pasture.” (Psalm 95:7b) We can be confident that the Lord is our loving Shepherd who will provide for our needs, whether they be spiritual, emotional, social or physical. The Lord Jesus Christ in the Sermon on the Mount reminds us that God will take care of the smallest matter in our lives. When we focus on how the Lord meets our every need, we are eager to give thanks unto Him. 6. We give thanks to God because He is our Guide. “and the sheep of his hand.” (Psalm 95:7c) Our Good Shepherd not only provides for us, but also leads us. We can thank the Lord for the times that He gave us direction through His Word in some important decision. As we look back upon our lives, God’s hand can be seen in His guidance and through the circumstances that He allowed in our lives. Likewise, as we look forward to the future, we know that He will continue to guide us. 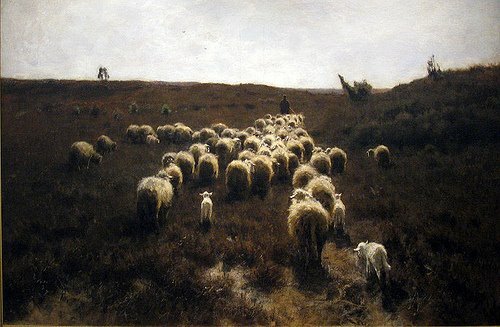 Return of the Flock” by Anton Mauve (19th Century) From the Philadelphia Museum of Art. The first step to turning away from the Lord is to develop an ungrateful heart. As we prepare our hearts for this Thanksgiving, let us look upon our Savior, the Lord Jesus Christ and all of His blessings. Yes, there may food, family, and football for this Thanksgiving, but don’t forget the most important “f” for Thanksgiving, which is focusing upon the Lord and His Blessings. Thanks Gary for keeping up with my blog. I also thank you for sharing this post on your Facebook page! Next Next post: Have I Forgotten Him?